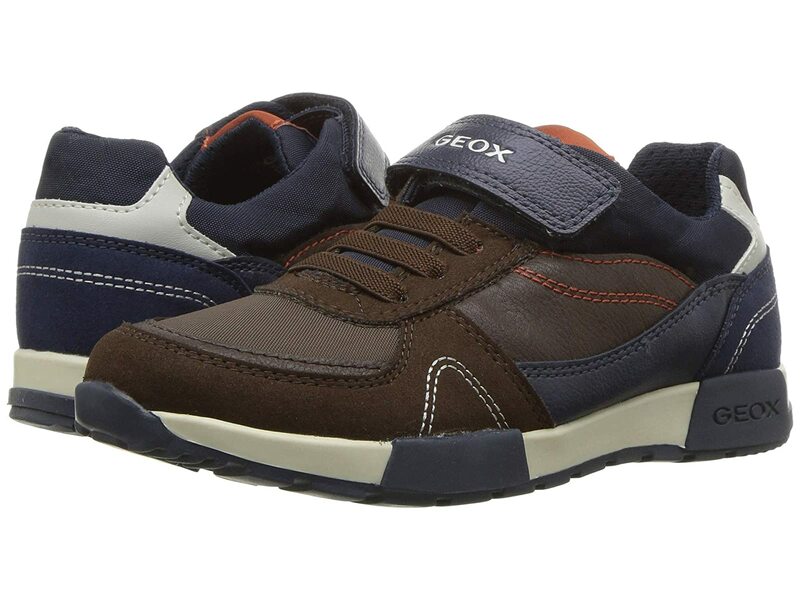 The Geox® Kids Alfier 3 sneaker will give him cool, comfortable style. Low-top sneaker in a sporty silhouette. Faux-leather upper feature durable fabric inserts. Textile lining offers a soft touch with a breathable mesh design. Chrome-free leather lining covers the removable insole. Textured rubber outsole features a patented perforated sole in order to maintain interior microclimate.